The number one grief I see clients experiencing is proving a solid paper trail for the money being used for qualifying (including the down payment and closing costs). Now, I use the term ‘qualifying’ because often times lenders must verify sufficient funds for down payment + closing costs AND reserves (more on this later). Please note that every single red cent must be sourced, seasoned, and verified. In a perfect world the lender collects two months’ worth of COMPLETE (all pages) bank statements showing sufficient funds for closing withOUT any large deposits (greater than $300) that are not payroll related. For example – let’s say your total cash-to-close is $20,000 and your bank statements show that you’ve had an average balance for the last two months of $25,000. 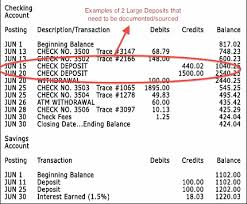 There are some noticeable large deposits BUT they are clearly payroll deposits with your employer listed in the memo line on your bank statements. Easy peasy lemon squeezy! Done! Using the same figures from the above example – let’s say your total cash-to-close is $20,000 and your most recent two month’s bank statements show your current balance to be $18,000. Although you may be thinking “I’ll easily accumulate the additional $2,000 needed for closing between now and closing day”…..unfortunately it’s just not that easy. Believe it or not lenders will require documentation of the additional $2,000 in advance of closing day – at least a week or two in advance. The lender will require documentation showing the additional $2,000 going into your bank account AND require an updated balance showing that $20,000 is now in your account. Here’s where it gets a little tricky (which is fancy mortgage talk for ‘frustrating’). IF you’ve had any undocumented deposits (like those from the list above) from the time you provided your last bank statement to the time you deposited the additional $2,000 the lender will require an explanation AND documentation. For example – if mom, dad, boss, best friend, charity or your church gave you a few hundred dollars because you’re a great friend AND that deposit shows up on the updated bank statement that the lender needed in effort to document the additional $2,000 needed for your cash-to-close then, well, you probably guessed it, yep, the lender is going to require documentation on that. There are so many scenarios, way too many scenarios to cover in this short artiCOLE – my mission here is simply to help explain the WHY behind all the requests. 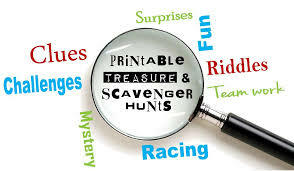 As a 16 year badge totin’ veteran loan officer (I made up the badge part) the last thing I want to do is send my clients on a scavenger hunt. A good loan officer, a good consultant, an advisor worth their salt sets the table up front and establishes very clear expectations thereby preventing later frustration. I liked it but it doesn’t quite explain why the investor, not the bank, needs to see the trail of information. I understand that it’s to sell the loan to free up money to lend out to others but why does the security purchaser need that information. Hi Jan, GREAT question! banks/lenders require all money be sourced and seasoned and any monies used for qualifying must be the client’s own money (unless an approved gift). lenders must ensure that the money being used is, in fact, the client’s own money and NOT a loan of some sort. Therefore undocumented deposits will need to be verified in attempt to tie the money to the client (borrower). I hope that helps – thank you again for the question! 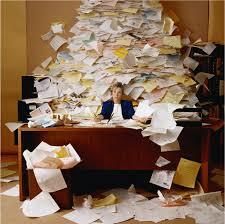 PreviousBuying a Home: WHY So Much Paperwork!? Nextmost important Fed meeting of the year? what happened today?